08 Nov 2013 - ti 84 plus C se : hello world assembly ! Today I will explain how to create and compile your first ti 84 plus CSE assembly program ! 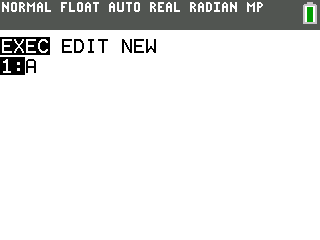 I have made this hello world without having the calculator (and never tested it before today! ), it was a blinded development ^^, but as it's only a small hello world, I can't complain about it :p. But now I tested and it works, now it's your turn ! So basically we have some defines (taken from kerm Martian pcse ball source (but the biggest part is really standard). We define a label to contain our string to print. Then we use puts and newline then return. spasm complains about the .org but don't worry about it. Great ! This is your first ti 84 plus C se assembly program. contra-sh registered at TI-84 plus Community on February 03, 2013, 09:50:17 PM and has posted 85 posts in the boards since then. Last visit was February 01, 2019, 04:41:40 PM. 08 Nov 2013 - Interview : Stefan Bauwens ! Hi Stefan Bauwens, you're a great member of the TI community (z80 and 68k), thank you to answer our questions ! Let's talk a bit about your projects, maybe we could start with the one which is the most famous Myst 89 ? When I was browsing our iPod's application store I stumbled across the game Myst. I had never played it, but I remembered my father mentioning it, so I told him and he advised me to download it. So I did it and at first it didn't look like it was the kind of game I would like, but then I got really into it and it became much more enjoyable. When I finally finished the game I felt like I wanted to make this on my calculator, but I quickly rid myself from the idea since it seemed quite impossible to me. Several weeks later I realized that Riven : The sequel to Myst had come out too. So, after downloading, playing and finally finishing it, I again felt the urge to make a port of it on my calculator. I can't remember exactly what happened but I decided to give it a try anyway. So, by means of the application, I took screenshots of all the possible images that were able to be seen on the Myst Island. I then had to edit all of them on the computer and put a special grayscale effect on them, so they would turn out 'decent' when I converted them to and 89 image, which was a tough job too since I had to set the contrast manually by each picture(about 350 pictures). I created an 'engine' too, which made use of a giant matrix but later I discovered that using separate lists were (sadly) a better way, because else it would slow down the game too much. I must say that probably one of the main reasons I really did an effort to finish it was because the people on Omnimaga, a calculator forum I had then recently joined, really supported me. I was very glad when it reached the news on Omnimaga and TI-Planet, but when it appeared on Ticalc.org I was extremely happy. Then, when Ticalc.org had their POTY voting, the 68k section (sadly) only had two games. Myst had to compete against the assembly game Trapped(Made by Apcalc). Then at New Year's Eve I was given the best present: Myst had won the 68K POTY 2011! First of all I want to say again I'm honored you made such a tutorial page for my game . Squareball was another iPod game I had begun to like. When the zContest 2011 started, I decided to join too. This was my first contest I entered and happened to be in the same year I made Myst. I first planned on making another game I had played online: Grey(http://armorgames.com/play/12117/grey). But the game actually goes about a dark grayscale world which turns eventually into a colorful one. And making this on a calculator which I wasn't really used to at that time(TI-83+), in a language I was not too good at too(AXE), it didn't seem such a good idea so I eventually changed the plan and decided to try and make Squareball which seemed to me as a simpler game, which would be more plausible to complete before the deadline. However, time was NOT on my side, and therefore I had to drop several game-features such as levels. Instead it had one random level, where you only had to hurry to the end and try to get an as high possible score. I can still remember that in the last evening I was having a very nasty bug, and because of it I would not have been able to enter the contest if they had not delayed the deadline for a couple of hours. Eventually, with the right shell, it turned out quite okay.I didn't win the contest, but I was glad the pressure was gone. Why did you started programming calcs? I think it was in 2006, when I was just 11. My brother Jim, who wasn't that much older too, tried to teach me all he had learned about calculators, which he had learned himself from the manual but more importantly from our oldest brother Manuel. He's kind off a generation older than us, but with his exciting stories of what he made on the calculator in his time, we were excited to start our own 'adventure'. And he had left us two Ti-92 Plus's(one was a TI-92 II with a Plus module) and a TI-92(non plus) to work with. I remember downloading some chatbots written in TI-Basic and changing the source to see how the program would respond. Till this day, I'm still fascinated by chatbots and I guess it is because of then. I was however a slow programmer and I limited myself to non-graphical programs. Only later on I started playing around with graphical things. Later my brother Jim sold me(for very cheap) a second hand TI-89 he had bought because he had stopped programming on calculators (Later though, when I joined Omnimaga(early 2011) he realized the community wasn't dead and he started again.). I too was no longer into calculator programming, but I bought the calculator from him anyway, because I thought I might be able to use it just to play some games on. Much later, in 2009 I released my first graphical program : Magic Quest-Quest For the key(http://www.ticalc.org/archives/files/fileinfo/421/42187.html), which was an attempt to make an RPG. Then in 2010 I made some one-pixel-per-second games(if not slower), which weren't so great too. It was only around 2011 I started more 'seriously' programming. Not that I hadn't programmed serious before, but I guess I was starting to mature more and was capable of doing better. Do you intend to keep playing with ti calcs in the future? Yes, I do. I may not be as much busy with it as I once am and was, but I'm quite sure I'll never abandon my calculators completely. However, I'm currently busy with studying and things. I'm kind of taking a break from calculators. What do you want to be able to do, what are your goals (game devel?) in the mid term and long term period? Well, this is a tricky question. I haven't worked precisely out what I would later want to do. I know I like calculator programming, math(although I'm not too good at it), and drawing. A combination of those things would probably be an ideal job. I am considering when I'm done with my current studies, to perhaps go to college and learn programming for 'real'. Whatever job I later may get, I want to be able to get enough money to be able to buy a house and take care of a possible family. Here's your ticalc profile : http://www.ticalc.org/archives/files/authors/106/10619.html[/url], you're basically more a 68k programmer. Which languages do you know exactly? What do you like in calcs programming? I have first been introduced to the TI-92(+)'s, unlike most calculator programmers who probably get first in touch with the Z80 calculators because of school. For most people it seems hard to switch from a Z80 calculator to a 68K one, but for someone like me, switching to the Z80 calculator somehow feels a bit like a downgrade. I have learned and used, but am not master in the following languages: TI-Basic(Z80 and 68K), Newprog(68K) and Axe(Z80). 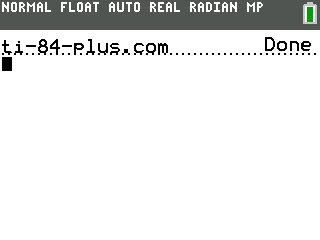 I like calculator programming because of the limitations such as the black&amp;white pixel-y screen. I have never been a great 'spritist', but when it gets down to small sprites such as 4*4 till 16*16, I enjoy it. 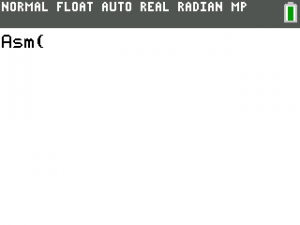 It also seemed to me that calculator programming was a lot simpler than computer programming. And it's portable! Haha, yes. I've made some things in Minecraft. But I've quit playing it for quite a while now. And sadly when I look at the current updates it has, it doesn't look as attractive to me anymore. It's better to build things in real life anyway. 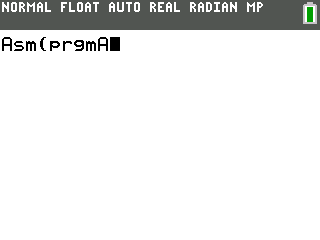 Yes, I was working on a newprog 2D minecraft clone for the TI-89. I had great plans, but here again my little knowledge of the language(Newprog) and giant amount of work made me decide to not finish it. However, the engine I created is not useless, and could be changed into a scrolling RPG-engine. But I've not been busy with it but if I decide to make such a game, I'll definitely use the code, so it isn't a complete waste. I'm an 18 year old, home-schooled Christian. I live in a large family and there's always work to do, so I'm never bored either. If I'm not studying or working, I may be busy on the computer visiting forums and websites about calculators, drawing or Tamagotchi's , while listening to music. Which kinda sums up my interests as well. I've always have liked drawing, but more the comic-stuff. Recently I created a web-comic(http://stefan.bwns.be/comic/) and when I have the time and inspiration I may post there something. I've always enjoyed virtual pets such as tamagotchi's. I hang around on a forum about them too, but I mostly talk there in serious controversial threads that have nothing to do with them. Do you do some other stuff (computer side)? For the rest I mainly use my computer to browse the internet, listen to music and use photoshop. Which kind of advice could you give to newbies? Learn TI-Basic first! It's the basis to many other cool languages such as Newprog and Axe. Download some simple TI-Basic games, try changing the code and see the results. The 68K series have a very nice program editor that can be handy for starters. And finally, tell us what you want, you can say everything you want ! I want to graduate, get a good job, get a house, marry and start a family, God willing. Thanks for wanting an interview with me. It was a pleasure stefan ! Thank you for this long answer, very nice ! The HP prime has a nice look and feel ! Why arm is cool ? Basically this is a close model to casio prizm or ti nspire (but a little bit better). In fact, I wait because I hope this calc will be really open for native programming. I never switched to nspire assembly because I think even if we can't play with it, each nspire model has different hack and it's really hard for users to instal third party games. HP Prime could offer a good toy for every developpers like me. Wait and see, time will tell ! 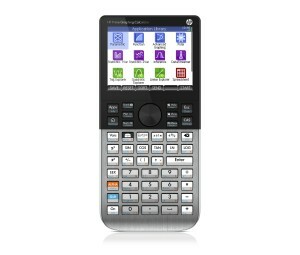 But as soon as this calc will be released, I purchase on, believe me ! Who said C programming on ti 84 plus is totally crazy ?! Some time ago, I made some testing on different C compiler for z80 platform (see this thread) and I finally conclude that "it could work" but without really conclude that it's a good idea. The compiler used was z88dk (sdcc should work too). C programming on ti-84 is a good or a bad idea? Yes that's the question, a lot of people says that C programming is not good because, due to the 8bits registers, compiler can't do a great job... Ok but we can avoid this problem if we do limited (subset) C (knowing which instruction is bad, floating stuff should be bad I guess). There's a perfect sample of what I say on this thread (load custom font?) . So the real issue was to provide ASSEMBLY functions to handle basic tasks (the z88dk lib is very poor). And deeph started to do it and proves us that C programming could be possible. 08 Nov 2013 - Interview : William White ! Hi William White, you're a great member of the TI community, thank you to answer our questions ! Let's talk a bit about your last project, qasm which seems very cool ! Why did you started this project? I started the project several years ago when coding for several calcs at the same time. Rarely do I release a program without porting to most models, so it was the sensible thing to try. Do you intend to keep working on it in the futur? Eventually I plan to have to program implement Kerm Martian's binpax8x and compile the code straight to program. What is possible/impossible currently with this tool? Could you program a complete game like mario or tetris using qasm? QASM can be integrated into ANY TI z80 asm project. 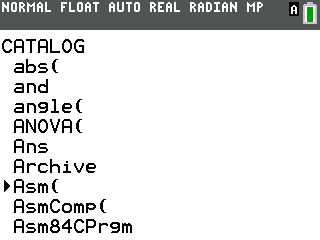 What's not currently possible, other than listed above, is .wav (sound) and .mpg (video) conversion. Both are being considered, but unlikely due to usefulness. I'll probably include sound and video just for the ticalc.org green sticker. What about the size of the resulting file (generated), you tell the word "optimized", so I guess it's more or less not much bigger than a program directly designed in assembly? The assembly code could be smaller in many cases, but the aim was compatibility. Most possible improvements are on a case-by-case basis and not generally needed. Right now the focus is getting an Associates from ITT Tech while working 2 jobs and investing. Hobbies: Numismatics, Coding, Texas Hold 'em, eTrade. Why you started coding stuff for calc? Do you do some other stuff (computer side)? And finally, tell us what you want, this is your part !! !